2. new drug applications (INDs) [электронный ресурс] // Rockville. 2009. URL: http://www.fda.gov (дата обращения: 22.06.2016). 3. FDA. Guidance for industry: cellular therapy for cardiac disease [электронный ресурс] // Rockville. 2009. URL: http://www.fda.gov (дата обращения: 22.06.2016). 4. Sohn H.S., Heo J.S., Kim H.S., Choi Y., Kim H.O. Duration of in vitro storage affects the key stem cell features of human bone marrow-derived mesenchymal stromal cells for clinical transplantation // Cytotherapy. 2013. Vol. 15. N 4. P. 460–466. 5. Chen Y., Yu B., Xue G., Zhao J., Li R.K., Liu Z., Niu B. Effects of storage solutions on the viability of human umbilical cord mesenchymal stem cells for transplantation // Cell Transplant. 2013. Vol. 22. N 6. P. 1075–1086. 6. Lee E.J., Lee S.A., Kim J. The effect of human serum albumin on the extended storage of human oral keratinocyte viability under mild hypothermia // Cryobiology. 2005. Vol. 50. N 1. P. 103–111. 7. Ehrlich H.P. Understanding experimental biology of skin equivalent: from laboratory to clinical use in patients with burns and chronic wounds // Am. J. Surg. 2004. Vol. 187. N 5. P. 29S–33S. 9. placebo-controlled clinical trial // Dermatol. Surg. 2013. Vol. 39. N 8. P. 1226–1236. 10. Petrof G., Abdul-Wahab A., McGrath J.A. Cell therapy in dermatology // Cold Spring Harb. Perspect. Med. 2014. Vol. 4. N. 6. a015156. 11. Jang S.I., Ong H.L., Gallo A., Liu X., Illei G., Alevizos I. Establishment of functional acinar-like cultures from human salivary glands // J. Dent. Res. 2015. Vol. 94. N 2. P. 304–311. 12. Шубникова Е.А., Погодина Л.С. Компенсаторная функция слюнных подчелюстных желез при диабете и возможность ее стимуляции изопротеренолом // Онтогенез. 2000. Т. 31. № 6. С. 476–480. 13. Hisatomi Y., Okumura K., Nakamura K., Matsumoto S., Satoh A., Nagano K., Yamamoto T., Endo F. Flow cytometric isolation of endodermal progenitors from mouse salivary gland differentiate into hepatic and pancreatic lineages // Hepatology. 2004. Vol. 39. N 3. P. 667–675. 14. Baek H., Noh Y.H., Lee J.H., Yeon S.I., Jeong J., Kwon H. Autonomous isolation, long-term culture and differentiation potential of adult salivary gland-derived stem/ progenitor cells // J. Tissue Eng. Regen. Med. 2012. Vol. 8. N 9. P. 717–727. 15. Okumura K., Shinohara M., Endo F. Capability of tissue stem cells to organize into salivary rudiments // Stem cells international. 2012. DOI: 10.1155/2012/502136. 16. 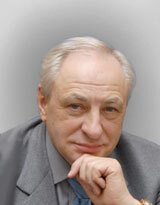 Petrakova O.S., Terskikh V.V., Chernioglo E.S., Ashapkin V.V., Bragin E.Y., Shtratnikova V.Y., Gvazava I.G., Sukhanov Y.V., Vasiliev A.V. Comparative analysis reveals similarities between cultured submandibular salivary gland cells and liver progenitor cells // Springerplus. 2014. Vol. 9. N 3. 183. Роговая О.С., Петракова О.С., Гвазава И.Г., Борисов М.А., Васильев А.В. ИССЛЕДОВАНИЕ ЖИЗНЕСПОСОБНОСТИ КУЛЬТИВИРУЕМЫХ КЛЕТОК ЧЕЛОВЕКА В СУСПЕНЗИИ. Вестник Московского университета. Серия 16. Биология. 2016;(3):44-48.